I love to use and recommend my clients get online applications (also called cloud applications) that will help my clients by saving time and money. Today we are looking at Google Docs. 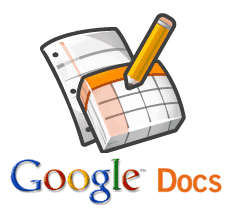 Google Docs is an online Word Processor, SpreadSheet, Presentation and Drawing applications. Its like having MS Office in your web browser. It’s also FREE! While it can do everything that MS Office can do, it can also do some new things. You can write a document with someone anywhere in the world at that same time, multiple people can edit the file in real time. Since you have a full office suite online and Google Docs have mobile applications for both iPhone and Android, then you basically have an office on the go. Google Docs is included in Google Apps. I recommend business owners have a google apps account. Share your files with anyone either giving them the ability to edit or just be able to read the files. Download your files in different popular formats like PDF and Microsoft format (depending on if your using word processor, spread sheet or presentation. Upload and share any file type. How will this help your business? If you are on the go and need a place to keep your files but also need to edit and read them then Google Docs lets you do that. With the use of Google Apps you can securely have shared access with your employees. Its a great way to keep your documents safe and secure in the cloud. Also it could be cost efficient option from MS Office. Read about Google Apps Summary. All my clients are setup with a Google Apps account which gives them Google Docs. Many use the Word Processor and Spreadsheet for there business. The ability to share and multiple people can edit one document is a very powerful business tool. Since it works with a google account, when you are signed into your email you are already signed into Google Docs. There is a link on top of the Google Bar to go to Documents(or Drive) and my clients find this easy. Also they can get the documents from any where they can access the Internet. Google Docs is an easy to use online Office application. Its free and everyone should give it a try. I think business owners can use this application to lower costs of buying multiple MS Office licenses. Also using this online will able for them to share and work on documents easier. Bundled with the power of Google Apps this replaces the need for having an internal file server and expense of an IT Consultant. Google has upgraded Google Docs to be included in Google Drive. Google Drive is a Cloud based storage application like Dropbox. If you have a Gmail or a Google Apps account you will see the link on the top bar that says Docs or Drive. Click on that link and check out Google Docs. You can also go directly there at google.com/docs. Good luck and leave a comment below, Twitter or Facebook me. You can always contact me with any questions. I am here to help you with your online business struggles.